40 years ago today my life changed. A mountaintop experience. 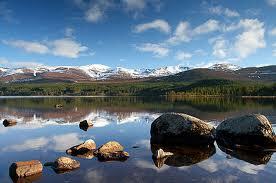 I had linked up with a group that I knew from my Harrogate school days in the Cairngorms of Scotland. I was training to be an Outward Bound instructor, they were, unbeknown to me before that week, a group of Christians. Over the course of a few days, their lives, their love and friendship toward me, together with their explorations into the “I am” statements of Jesus in John’s gospel, orientated my life in a different direction. I hadn’t been averse to Christianity but I had never paid any more than lip service and certainly had no allegiance or attendance at any church. Easter is a reminder to me of the day my life changed forever. It was the day when God became real and faith became life transforming. Today as Easter is celebrated again, we remember that in Christ’s resurrection, what emerged out of the tomb that Easter morning was life. It was life that burst out of the tomb. Not religion, not church but life! As John V. Taylor said: “it has long been my conviction that God is not usually concerned as to whether we are religious or not. What matters to God, and matter supremely, is whether we are alive or not.” I know that from that experience many years ago of my encounter with Christ has led to life, little knowing that the decision to follow him and seek to embrace his radical way for living as revealed in the Gospels, would change the whole direction of my life. 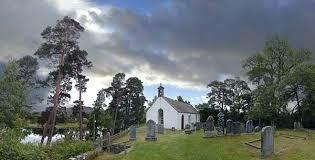 Coming down off the summit of Mount Suie, with a fresh spring in my step, we made our way to the little church on the side of the loch at Kincraig where I encountered some welcoming people, unfamiliar, unknown liturgies, reasonable singing and some average hymns. 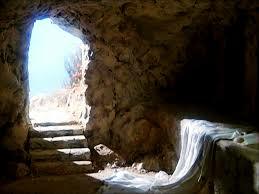 Two things that impressed me however and which have remained with me to this day: Firstly the priest proclaiming from the front at the outset of the service, “Christ is risen” to which the congregation responded with enthusiasm, “He is risen indeed. 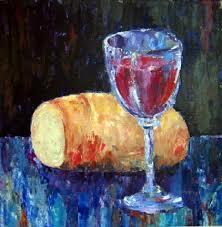 Alleluia!” Then later as the service moved towards its conclusion, we went forward to receive communion, the bread and wine, simple elements but symbolically, they spoke so powerfully to my heart then, as they do now. I always look forward to celebrating Easter because it takes me back to that turning point in my life and also because it is the greatest and most incredible day in the history of the world. It’s more than just a holiday, more than a time to celebrate the beauty of spring with its green pastures, blooming flowers, blossoming trees, news born lambs and the sounds of birds singing in the hedgerows. Easter is the most revolutionary day the world has ever known. 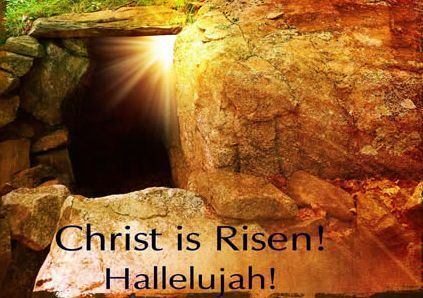 It’s the day that as Christians we celebrate Christ’s resurrection from the dead, shattering the tomb of death and ushering in the dawning of a new world. It is the feast of the unexpected, when Christ conquered death, disturbing every attempt to make God predictable and Christianity safe. You can try to reduce this extraordinary, world changing event into a commercial, consumerist opportunity to sell chocolate but to ignore the implications of Christ’s resurrection is to miss the point of life itself. The implications of Christ’s resurrection are profound. If it’s true, as millions of people have testified to throughout the history of the world, its truth goes beyond any Easter bonnet or egg hunt. It’s because he rose from the dead that we have confidence in believing that what he said and did was also true and if that is so then it really does hold the potential to be utterly life and world transforming. If it’s true that he rose from the dead then all the hatred, violence and evil that was meted out upon him on the cross, has been disarmed. Evil does not have the last word! Christ’s resurrection from the dead has conquered that last enemy, death itself. The fear of death and the process of dying and any forbidding thoughts of judgement are dispelled. Jesus resurrection is God’s abolition of death. 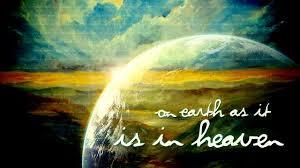 Easter is the day death died and Christ’s resurrection gives life meaning and purpose. The futility, hopelessness and helplessness of a secular or atheist worldview removes so much meaning from life. Bertrand Russell the philosopher believed that when he died there would just be “triviality for a moment and then nothing“. In contrast, Christ’s resurrection gives comfort and coherence to what is past, conviction and a sense of purpose for the present and an assured confidence concerning the future. And as I look back on that day in 1974, I now see that the call to follow this risen Christ, was a vocation that drew me into a movement of his that not only changes the human heart and its affection to God but also carries with it the transformational power to make a difference for lasting good in the world. To align oneself, with the millions of those who have followed Christ, in every continent, in every age, throughout the history of the world, who have prayed, “your kingdom come, your will be done on earth as it is in heaven“. 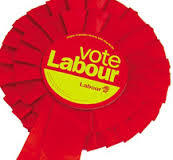 Yesterday I was at my local constituency party hustings, during which we voted for and appointed our prospective parliamentary candidate for the next General Election. It was an engaging and enjoyable experience and both members of the party contesting the appointment gave good speeches and handled questions well. They encouraged me to think that there are still people on the Left of politics who could not only critique right wing Conservative free-market, consumer policies but who could also offer a credible alternative socialist worldview and some sound political policies. As I held up one of the many placards, urging people to Vote Labour, for the inevitable photo opportunity, my support of the party was rekindled, having suffered and agonised for years over whether I would remain a member, after the wicked decision to flout and undermine the United Nations, and go into an illegal and disastrous war in Iraq and Afghanistan, the consequences of which are being played out to the detriment of the world every day since. Encouraged as I was by the political rhetoric of the party as it prepares for what will be a very uneasy election campaign, it was nothing in comparison with the confidence and belief that I felt this morning as we celebrated Easter and Christ’s resurrection. Proclaiming “He is risen. He is risen indeed. Alleluia!“, taking communion on Holy Island and joining other Companions and Friends of the Community to renew our vows on the beach facing Cuthbert’s island. Looking out across the glistening blue sea, I had no doubt that the greatest power to affect transformation to the world for good, lies not in politicians but in Christ. Not in governments but His Governance. Not in legislation but in his redeeming grace. Not in the love of power but the power of his love. That’s why it is so much more than a holiday, or a day out in the countryside or the beach. It’s so much more than an occasion to gather with family and friends. It’s a day that changes the world and is Tolkien called it, a day that summons the breaking in of a new world and, “a joy beyond the walls of the world“. 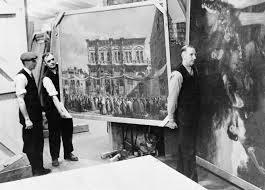 With the outbreak of the Second World War, and the bombs that began to rain down upon London, the collection of paintings at the National Gallery were removed and sent to Wales and onto Canada for safety. Two years into the war the public started to complain. Understanding the reasoning behind the paintings being removed they nevertheless longed to see some, to lift their spirits. A letter appeared in the Times in January 1942 to the trustees of the National Gallery, asking if they would take the risk and exhibit one picture each week. The trustees responded and decided upon one month and wishing to cooperate with public opinion they conducted a survey. There were astonished to find that it was not a preference for paintings of the strength of the human spirit or its resilience to combat adversity. 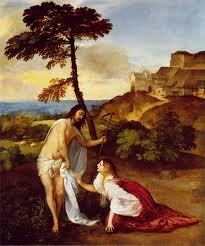 Overwhelmingly the most desired painting that the public wanted to see was Titian’s Noli me tanger, his picture of the Resurrection. It was the same spirit that was witnessed in Johannesburg under apartheid. A political rally, opposing apartheid had been cancelled on the orders of the government. 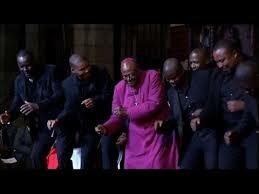 Bishop Desmond Tutu offered as an alternative, a service inside the cathedral. 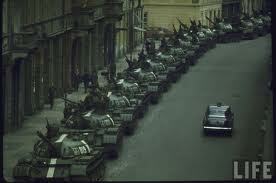 The congregation gathered making their way through large numbers of riot police and armed soldiers who waited outside. 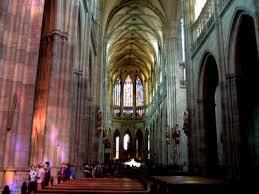 Inside the cathedral, more police lined the walls recording everything that was said. Tutu declared confidently that the evil system of apartheid could not stand, but it’s day had come to pass, that its injustice would be no more. Pointing his finger at the police around the walls and mindful that his words would be carried to the governing authorities beyond, he declared “You may be powerful, indeed very powerful, but you are not God! And the God whom we serve cannot be mocked. You have already lost!” Then this little man, coming out of the pulpit and walking alongside the police officers, with his disarming, characteristic big smile said, “so since you have already lost, we are inviting you to come and join the winning side!” The whole cathedral congregation erupted in delight, in whoops of joy and jubilant cheers, they sang and danced, worshipping God, the God of resurrection power. Nothing could defeat the resurrection faith. Easter, world shaking, shattering, unforgettable. Life transforming. 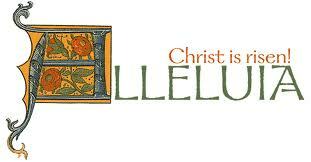 Celebrate with joy today and live in the light of the Christ’s resurrection throughout the coming years….. I love the quote, but who is John the Taylor? Sorry. Mistake on my part. It’s John V.Taylor who was the Bishop of Winchester, a great thinker, theologian and writer.